The US Court of Appeals for the Federal Circuit issued its decision in Association for Molecular Pathology v USPTO and Myriad Genetics on July 29, reaffirming that isolated DNA sequences are patent eligible. However, if taken up by the Supreme Court, the case could still reverse 35 years of USPTO practice during which the Office has granted thousands of patents on isolated DNA sequences. 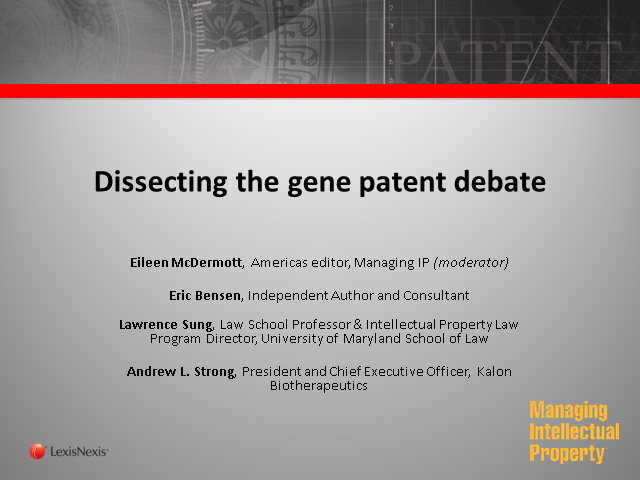 Join us for a discussion of the case from both the reasearch community and patent holder perspectives, and for a legal analysis of possible next steps.